‘Tis the season for endless amounts of office parties, black tie occasions, and cocktail hours. Now is the time to stock up your closet with on-trend pieces for the upcoming holidays. Here are some suggestions to get you started on updating your wardrobe for Christmas in Austin. Throw on your best little black dress, a universal staple that can easily be dressed up or dressed down for the holidays. Here’s the twist, though: add a pair of fun heels in a bold color or pattern and be the trendiest one of them all! If that’s not your style, try a pair of statement earrings. Statement necklaces of the past have been replaced by tiered and tasseled earrings, spicing up any holiday look. Grab a pair at Austin's Mana Culture, who carries wide selection of fun earrings for any occasion. Try something a little out-of-the ordinary this holiday season by going for a floral pattern. This trend may feel a little summery, but you can always remedy that by finding patterns in deeper colors such as a cranberry or moss green. All eyes will be drawn to you while you're wearing this unexpected pop of posies, and The Domain in Austin is sure to have a plethora of options for this new holiday trend. Ditch the sparkles this holiday season and opt for a pattern that's more on-trend: polka dots! Large-scale polka dots can be found anywhere and are incredibly flattering on any body type. Add in multiple textures like velvet or even some sequins to elevate the polka dot piece whether it’s a pair of fun pants, a jumpsuit, or a dress. You're bound to find spots across any of your favorite stores as they are definitely the "in" pattern during the holidays. One such place in Austin where you can find polka dots is at Co-Star in the The District at SoCo. Look for a more relaxed fit and try a wrap dress. This particular silhouette looks good on any body type and is an easy find as it just so happens to be trending this holiday season in stores. A wrap dress gives off the perfect subtle, flirty message for any kind of date: first date, third date, or one-hundredth date! Sunroom in Austin has an excellent selection of this dress style, so stop by to browse and find your new holiday date ensemble. 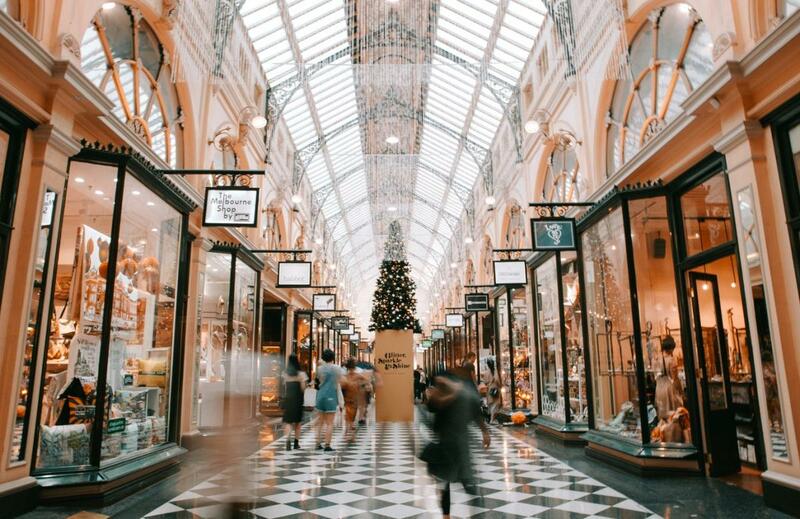 No matter the occasion, you can find a way to incorporate any of these holiday trends into your outfit for the night, and Austin has plenty of stores that a stocked with the most stylish pieces. Find more shopping in Austin and ideas for Christmas in Austin by registering on 512area.com, your free guide to everything local in the Austin area.